More on the action RPG ahead of its release. 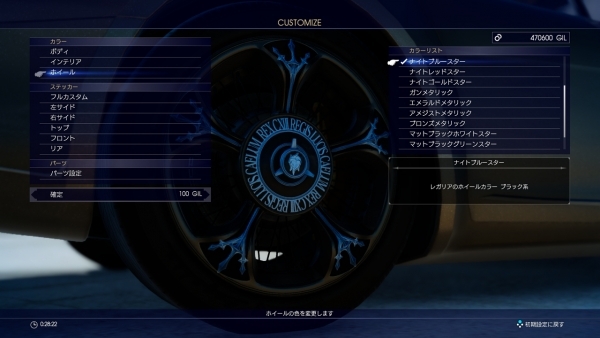 Weapons that only Noctis, as a member of the royal family, is able to use. It is powerful, but it consumes HP for every attack. 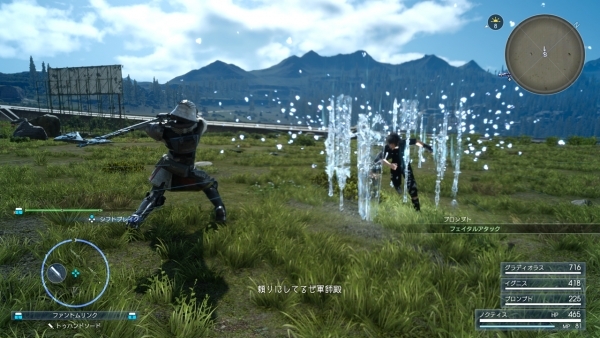 In searching for the Phantom Swords, Noctis and company will aim for the king’s graves found all across the world. —Phantom Swords are different from other weapons and have the Shift Break characteristic. This changes based on the type of Phantom Sword. —By building up your gauge, you’ll be able to summon the Phantom Swords. …to trigger a cooperative technique with your party members. 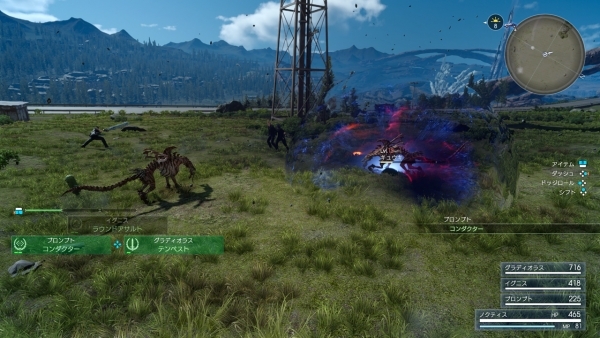 In Final Fantasy XV, you can customize the series’ familiar chocobo creatures and borrow their strength in battle. 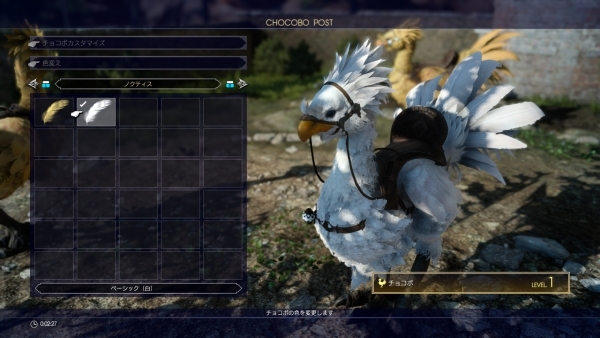 —Customize your individual chocobos’ colors. 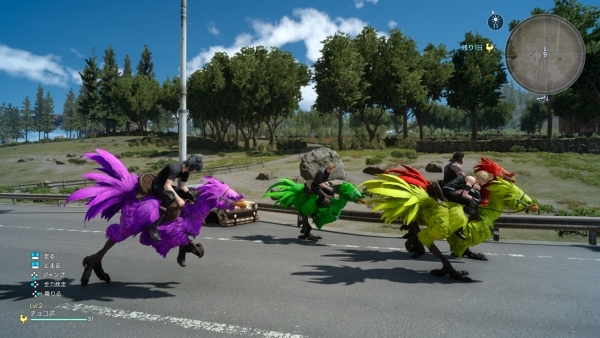 —Run around on colorful chocobos. 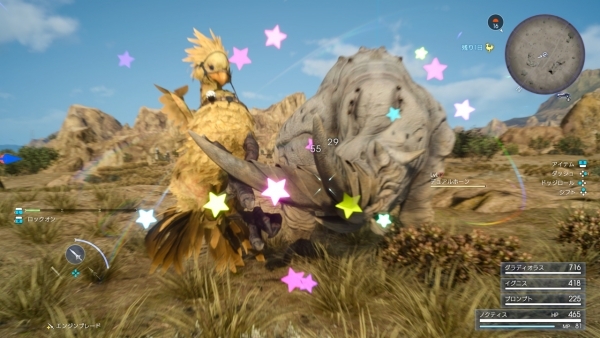 —At times, chocobos can even participate in battles. They’ll help out with a few of their techniques. 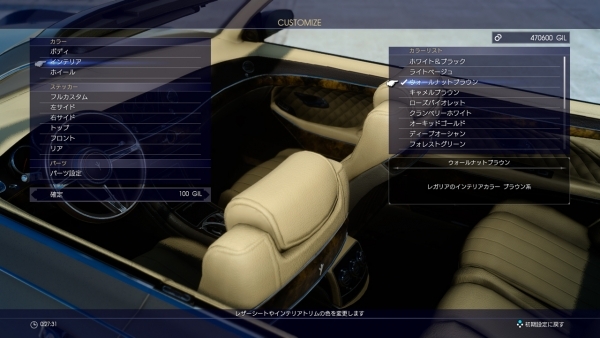 You can customize your Regalia (car) by going to Cindy. By collecting ores that become colorants for color customization, your color variations will increase. 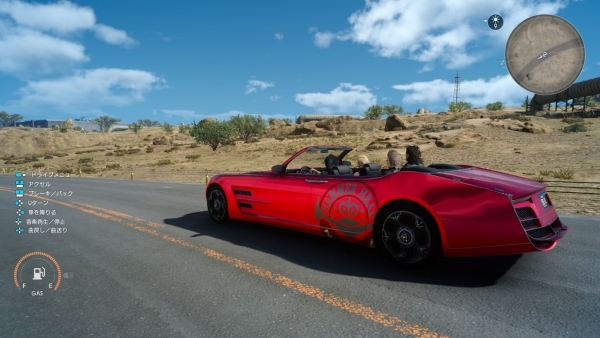 And not only can you fully customize the stickers on your car, you can also decorate the vehicle at single points. Make your Regalia all your own. 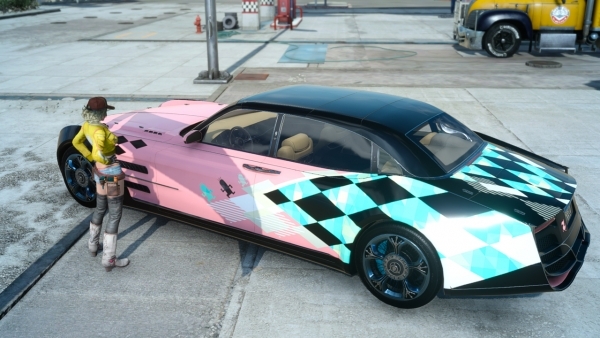 …and even change its color. …as well as the seat color. Ally commands can be triggered at the indication of the players. Depending on the character, they’ll use a technique that highlights their individuality. 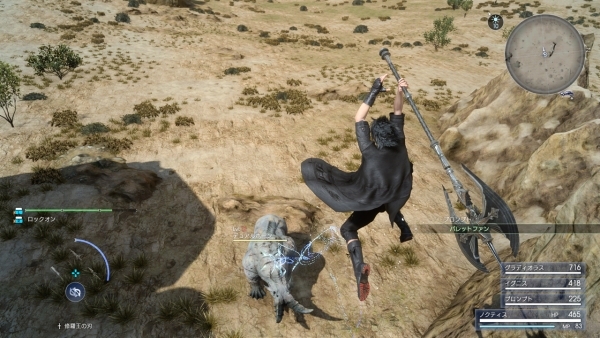 After Gladio’s attack, if you press the button in accordance with the indicated timing, Noctis will perform an additional attack using Gladiolus’ weapon. 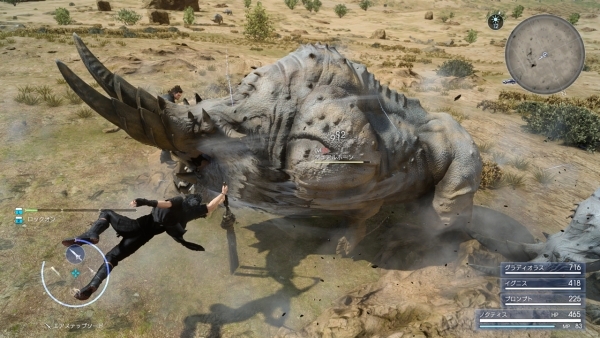 —Gladiolus throws his shield at the ground, unleashing a strong blow. 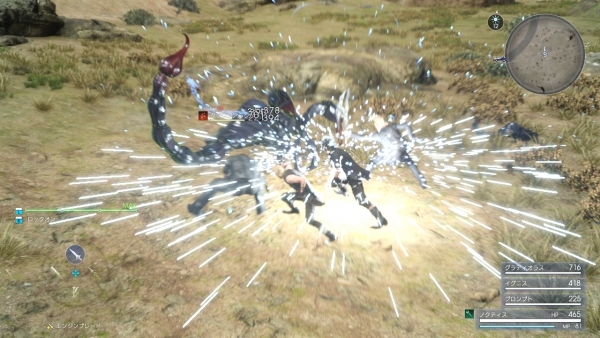 A cooperative technique that deals even greater damage by making Noctis’ weapon the attribute of the enemy’s weakness. 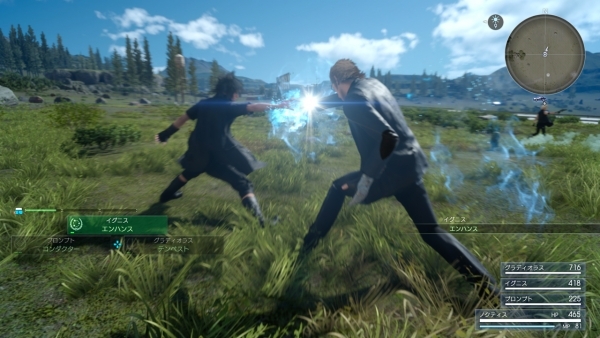 —Ignis transmits the enemy’s weakness into Noctis’ weapon. 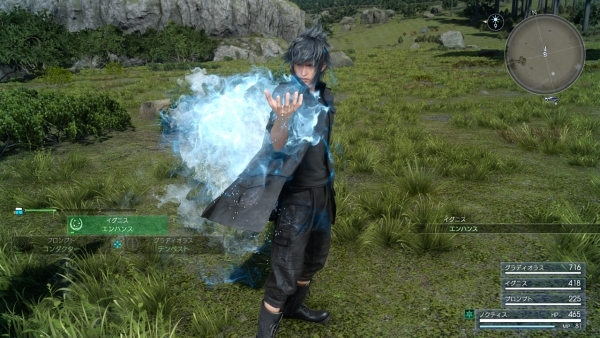 —By attacking with the enemy weakness-enhanced weapon, Noctis can proceed the battle with a greater advantage. 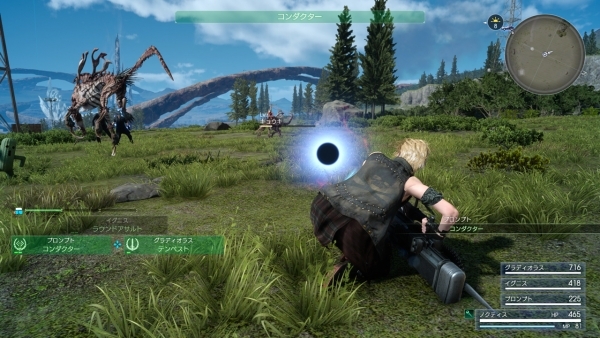 Prompto uses machinery to shoot a gravity ball with the power to pull in surrounding enemies. 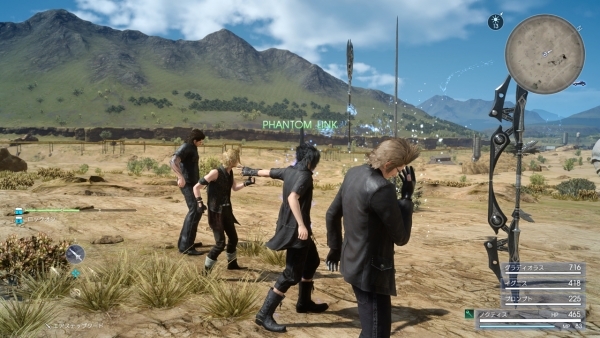 —Prompto shoots a dark gravity ball while facing the enemies. 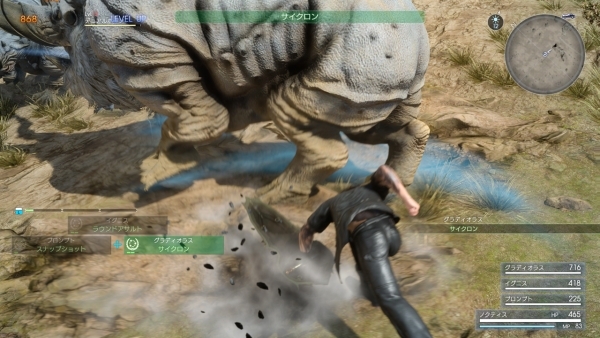 —Surrounding enemies are then pulled towards the impacted area. Series familiar monsters will also appear. 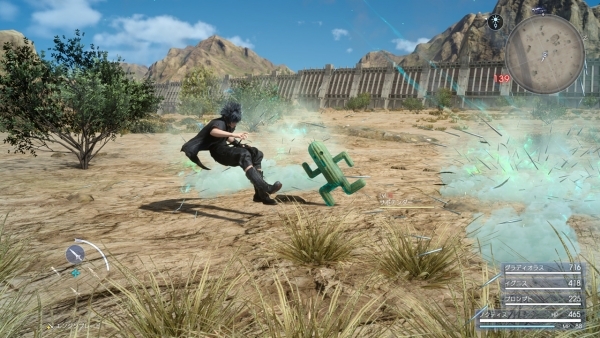 The fast-moving Cactuars attack by firing needles. They appear in unexpected places and run away as fast as they suddenly appear. Tonberries appear in the city. They attack using their traditional kitchen knives to deal a strong blow. A series familiar status ailment returns. 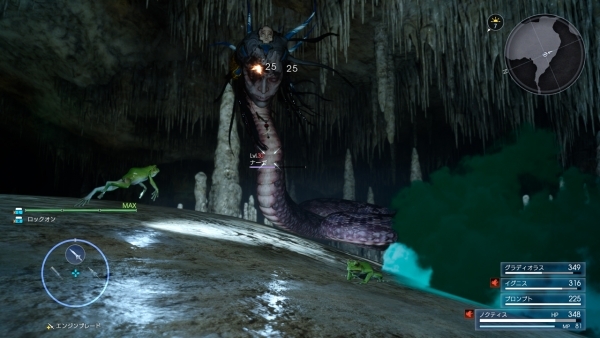 If you’re attacked by Naga on the outskirts of the city, you may turn into a toad. 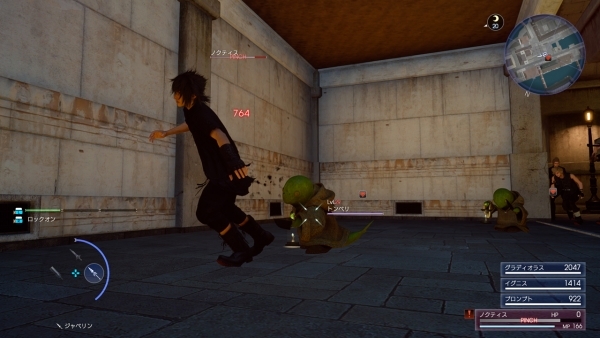 Becoming a toad disables your ability to attack for a fixed period, but since you can move around and jump, you should try to defend yourself until you return to your original form.